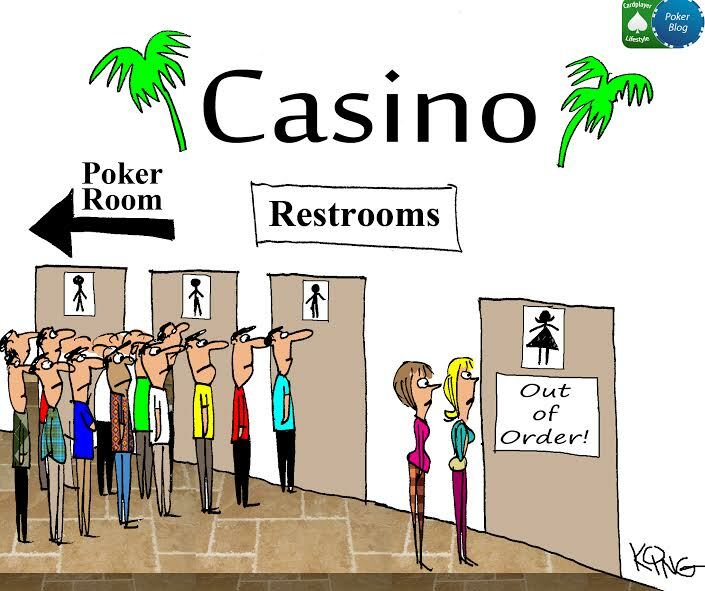 I’m pretty certain that there are a couple of experiences common to a majority of today’s poker fans. One is having an appreciation for the seminal poker movie, Rounders. Another, surely, is having watched numerous episodes of the old High Stakes Poker and Poker After Dark televised poker shows. We all know the players involved, but to the best of my knowledge, we’ve never heard about those games from the perspective of people who had a front row seat: the dealers. Mary Gregorich was one of a few dealers who got to witness the famous fireworks at the felt before we viewers got the edited versions beamed to our screens. 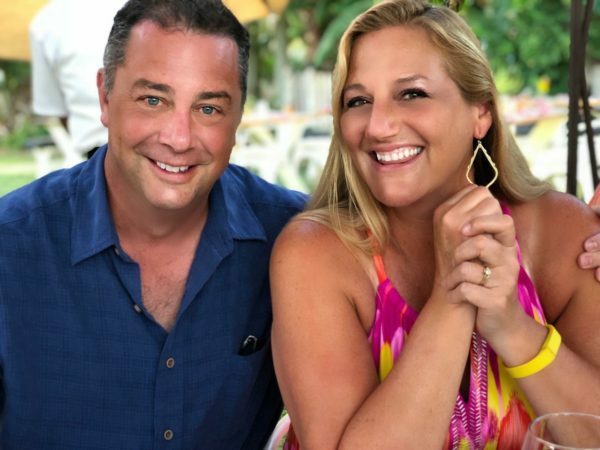 She was kind enough to agree to this interview so that we could learn about her experiences on set, as well as a bit more about her life and new ventures in the world of poker. You’re married to well-known poker pro Mark Gregorich. He’s been playing poker in Las Vegas since 1995. Did you two meet before then, or afterwards? Let’s hear the story 🙂 . 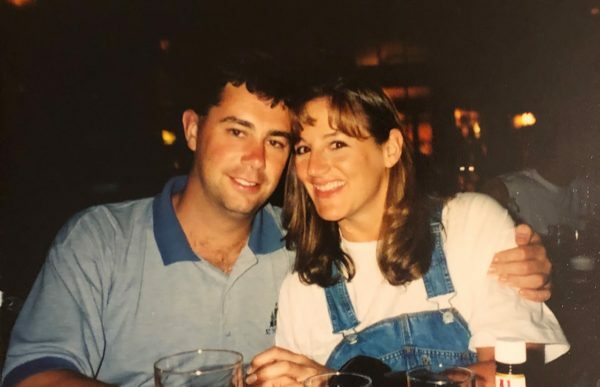 Mark and I met while I was dealing at The Mirage in 1997. 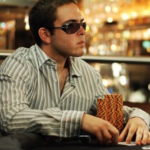 He was a young, single, nice, polite, and good looking poker player at a time when that combo was hard to find in the poker world. Mark was and still is an all-around great guy. I’m not sure I know anyone who knows him that doesn’t like him. We hit it off and got engaged eight months later and married seven months after that. Fast forward 22 years and here we are. 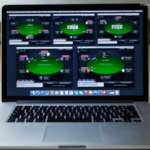 How did you first get interested in poker? I grew up playing cards with my family so I feel like I always knew how to play. Playing poker as it is today, I’d have to say I got really interested in 1990. I was dealing at what is now the Soaring Eagle Casino in Michigan and would play with my co-workers on our days off. I moved out to Las Vegas back in 1992. What compelled you to start out as a dealer? Do you also play occasionally? Poker dealing was never part of my plan. It sort of just happened because it was decent money while I was waiting for my real life to start. I had graduated from Central Michigan University with a teaching degree. I was substitute teaching as often as I could, but there weren’t a lot of teaching jobs in Michigan at that time. My brother encouraged me to apply for a dealing position at what’s now known as Soaring Eagle Casino. We both applied and got hired. I dealt blackjack for a while but eventually got transferred to poker. My brother taught me to play Omaha 8 first. I loved it and was hooked. I dealt mixed games at work and we played mixed games after work I’ve only ever played lower stakes, usually $4-8 or $6-12 limit or $1-3 NL. What are some of the places you have dealt over your career? Saginaw Chippewa Fund Raising Project (now the Soaring Eagle) in Michigan, Silver City Casino in Las Vegas, The Mirage in Las Vegas, as well as the various locations we filmed Poker After Dark, High Stakes Poker, and other televised shows I dealt: Golden Nugget, South Point, Caesars Palace, Aria, and Bellagio. 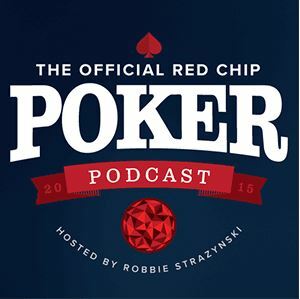 How did it come about that you were selected to deal on Poker After Dark and High Stakes Poker? I mostly think I was in the right place at the right time combined with a little bit of old school “who ya know”. I certainly wasn’t the best dealer out there but Mark and I were pretty good friends with Mori and Kathy Eskandani. I had dealt to Mori at the Mirage so he knew I was a decent dealer and available because I had retired from dealing to be a stay-at-home Mom. 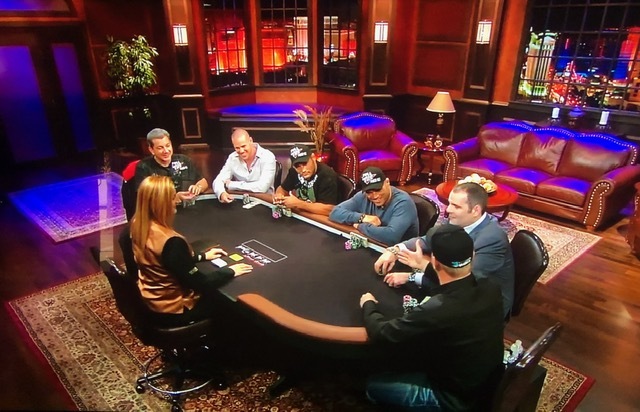 I’m pretty sure we were all on the 2004 PartyPoker Million Cruise when Mori asked me if I’d be interested in dealing a televised show called Poker Superstars. I said “sure, sounds like fun” and the rest is history. Any favorite memories/stories you can share from back in those days? I was fortunate enough to be dealing during a few of the more iconic moments on the shows. I always tried to be very professional, but sometimes it was difficult to keep a straight face. 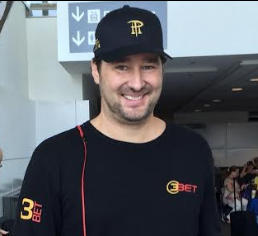 I was dealing during the (in)famous Phil Hellmuth blow up in PAD season 1. I was dealing on HSP when Guy Laliberté gave David Benyamine his all-in bet of ~$600k back after calling him on the flop with two pair vs. David’s nut flush draw. Guy said he would just take the existing pot (I think it was around $70k, $43k of which was David’s) and not run it out, and the hand would be over. Of course David agreed, as Guy was a huge favorite. I had never seen anything like it; one player giving another a break like that was just unheard of. All the other players were shouting “show us the turn and river!” but I did not as Guy and David both agreed they didn’t want to see them. That was very exciting. One of the funniest episodes of HSP that I dealt was the vegetarian/celibacy bet debate. 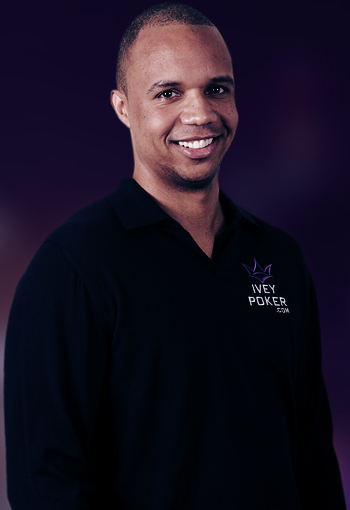 Tom Dwan bet Phil Ivey he couldn’t give up meat for one year for $500k and then Gus Hansen was asked if he could be celibate for one year for the same amount. There was a lot of haggling about prices, buying out early, excluding fish from the bet and how much it would cost if you slipped up and took a bite of meat before you realized it. During all of the vegetarian bet banter, Gus asked how these new exceptions would apply to his celibacy bet. Like if he forgot and just… Anyway, you can imagine there was a lot of beeping out of the conversation. I believe Tom and Phil settled on $1 million for one year no meat, not even fish. Not sure if Gus made his bet or not. 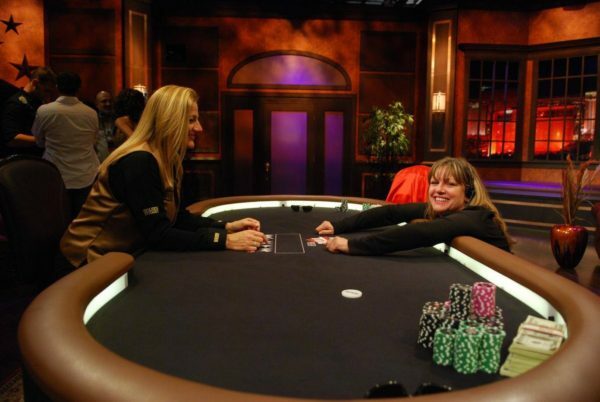 Nowadays, crazy high stakes cash games are somewhat more common, but at the time what was happening on those poker TV shows was revolutionary and fans were all glued to the TV watching the high stakes action. What was it like for you being at the table? Had you dealt to this crowd of characters before? Anything approaching those stakes? There were times I was very nervous, usually my first down of a season. After that, my nerves settled. I’d say the highest cash game limits I had dealt prior to HSP were $400-800 stud at The Mirage in the late 1990s. I had only dealt limit games and pot limit hold’em on occasion. No limit just wasn’t popular back then. 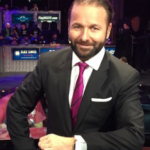 What was unique about dealing on a televised poker show versus other dealing you had done before? The players on the shows were there by invitation only, therefore, for the most part they were all on their best behavior. Yes the stakes were high, but it was much easier to relax and do a good job when you knew the players were going to be nice. After dealing the first show in 2004, I knew it would be very difficult to punch a clock again. Everything about dealing the shows was better: the hours, the money, the players, the crew, and the whole atmosphere. I loved all of it. Because we were making a show, there were some things I had to do that I would never do in a high-stakes cash game in a casino. One of the hardest habits to break was not immediately grabbing and mucking the discards so as to avoid getting in the cross-table camera shot. I heard “lean back, lean back, lean back” in my earpiece many times in the beginning. I also had to announce the action and bet and raise sizes aloud. It was so the statisticians who were listening to my microphone could easily follow the action, but I’d occasionally get unpleasant looks from first-time players to the show because they hadn’t yet asked for the bet amount. Little things that we all adjusted to because even though it was a high stakes poker game; it was also a television production. How many seasons of the shows did you participate in? Were you employed by the casinos where the games took place or specifically by the production crew? I dealt all seasons of the original PAD and all but one season of HSP. 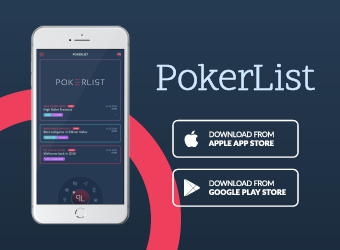 I dealt several seasons of the National Heads-Up Poker Championship, Poker Superstars Invitational seasons 2 & 3, Doubles Poker Championship, and the Pro-Am Poker Equalizer. I did have to technically hire in at the casinos where we filmed the shows. It was a temporary hire and I was paid by the production company. Were there any players in particular who tipped very well? What was the biggest tip you ever received on the show? Most of the players tipped very well. All tips were chopped up equally between the three or four dealers working the show, so it’s hard to say who was the best tipper. I’d hate to call one player out specifically and maybe forget another who was equally as generous to one of the other dealers, so I’m not going to name any names. PAD was originally a winner-take-all 6-handed Sit N’ Go. Whoever won usually left us a very generous tip. In the cash games, there was one particular player who would slide me a $100 chip as soon as I sat down (before pitching a card) and tell me to by myself something shiny. That was always nice. I got a $1k chip tossed to me from a player who had a winning session but had to quit early on HSP. Another time a player won a big pot and tossed me $600. I’m sure the other dealers have the same stories. The tips were steady and good. We dealers had no complaints. It was a great gig and we were lucky to be a part of it. Maybe you can fill us in on some of the interesting things that happened once the cameras were turned off, or not rolling anymore? I dealt many hands of high stakes Chinese poker during breaks and tape changes, mostly to Doyle and Eli if my memory serves me right. A lot of the crew stayed at whatever hotel we were filming so when we wrapped up for the night many of us would hang out together, having a few cocktails, laughing and decompressing after a long day of filming. The Golden Nugget brings back the most memories. PAD usually filmed for 10 days around Halloween so we had some great Halloween costume parties at the Nugget. Everyone would come dressed up: the staff, the crew, the bosses, the talent and even some of the players. We did have fun! You recently founded your own poker cruise company called “Ship It Poker Cruises.” Why don’t you tell us a little bit about that? 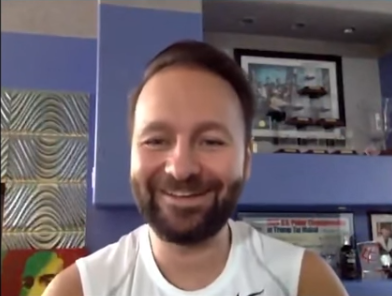 Zack Lawmaster and I co-founded Ship It Poker Cruises in March of 2018. I have to give him all of the credit for the great company name. We had both been working in that business for many years. We love it, we are good at it, and we decided to give it a shot. We have a great floor staff: Debra Williams and Eric Croteau and many excellent dealers. We really got lucky with such a great staff right out of the gate. 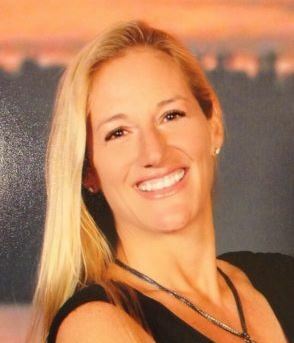 To run a poker cruise company, you obviously have to have a passion for it. What do you enjoy about cruising and poker cruises in particular? I love cruising because it allows me to sort of sample visit so many places. If there is a port that I really like, I know I can go back there and spend more time. I like being on the water. I’ve had some of my best sleep on a cruise; something about the motion lulls me. I have been in the poker world for almost 30 years: dealing, playing, cruising, or just schmoozing. Mark is a professional poker player. It’s the social world we live in. I’ve met so many great people in poker and so many great people cruising. Putting the two together just seems natural. Tell us about your inaugural cruise, which took place back in November of last year. It was better than we could have imagined. It was so relaxed and fun. We had dancing and singing in the card room at times. Absolutely everyone got along with everyone and just had fun. Oh yea, we played some poker, too. 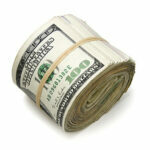 We spread limit and no-limit games from $2-4 limit to $75-150 mixed games. We had small tournaments and a Pro Bounty tournament that was a lot of fun. We arranged amazing excursions for our group. I truly believe that fun was had by all. 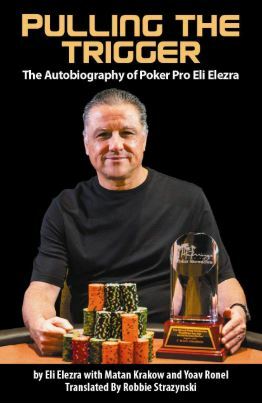 From what it seems like on Twitter, you have a close relationship with poker pros Eli Elezra and Frank Kassela. Did that come about through their years of TV appearances or in some other way? What draws you to them specifically and have you become friendly with any of the other big name pros we’ve watched on TV? I love Eli and Frank! Both are amazing and real. 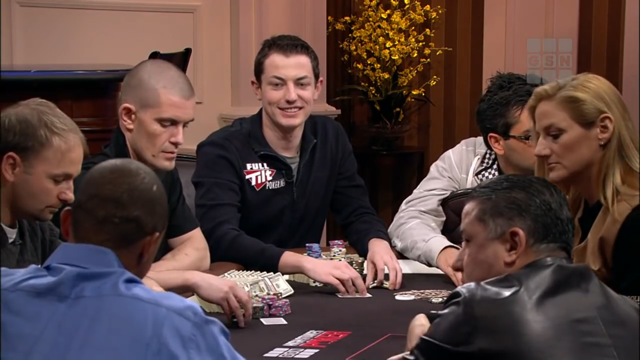 Yes they are big deal high stakes poker players, but to me they are just Eli and Frank. They make me laugh. Life is too short not to laugh. I’ve known Eli since the HSP and PAD days and met Frank more recently. We’ve taken a couple great vacations together in the last couple years and have gotten to know them both better. 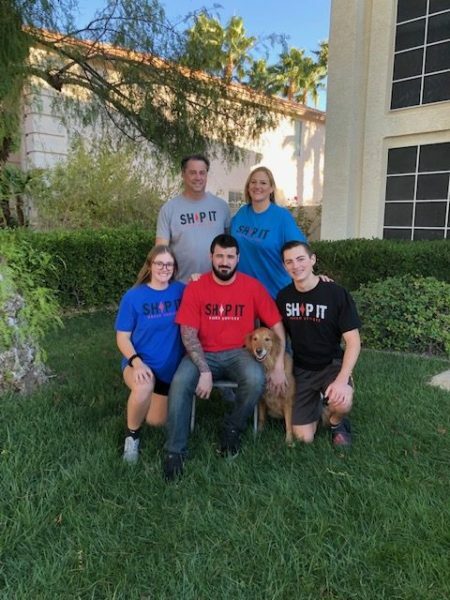 They have both been very supportive of Ship It Poker Cruises and I cant possible thank them enough. Remember, Mark and I have been in poker in Vegas for over 20 years, so our circle of friends is centered around that world. 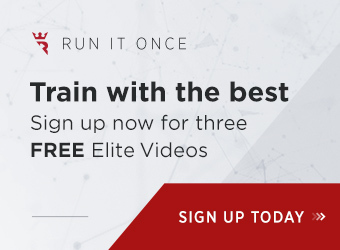 I wouldn’t say I have become friends recently with the newer, young, big name pros, but more that I have been friends with the slightly older, old school pros from before they were big names. 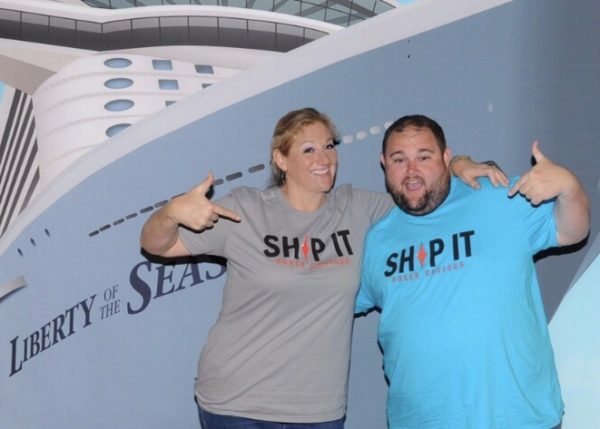 What are you plans with Ship It Cruises moving forward and how do you spend your time these days when you’re not working? We hope to build up our customer base by continuing to provide a fun, friendly, and professionally run card room at sea. As for spare time, I guess we will soon see. Our youngest graduates next month and is off to college in the fall so my stay-at-home Mom gig will be coming to an end. 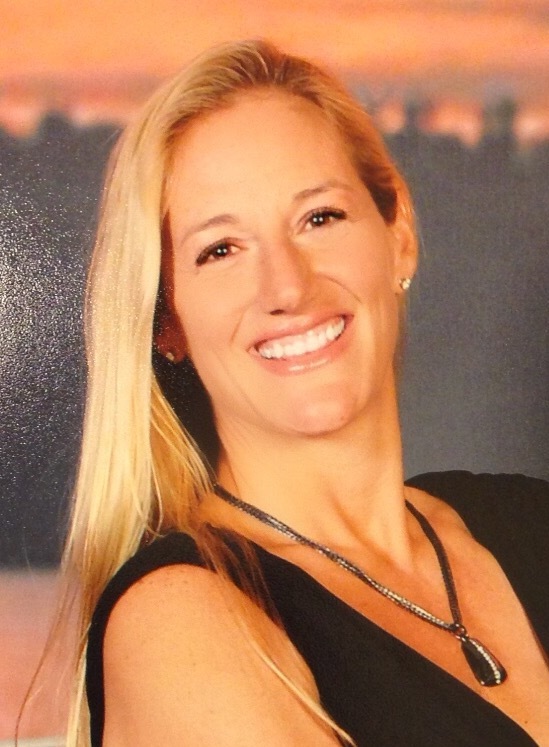 Come join my family and become part of the Ship It family on one of our cruises!